DSEF, in partnership with the U.S. Association for Small Business and Entrepreneurship’s (USASBE’s) Minority and Women Entrepreneurship Special Interest Group (SIG), sponsored a paper competition on the direct selling channel of distribution and micro-entrepreneurship opportunity. One of DSEF’s key priorities is to fund and develop research and case studies that advance understanding of the direct selling channel. We achieve this goal through our partnerships with Fellows and academic organizations and are gratified that seven out the eight authors of these winning papers are DSEF Fellows. DSEF’s academic partnerships serve to inform and educate students – highlighting direct selling as a go-to-market strategy and pathway to entrepreneurship and micro-entrepreneurship. DSEF, in partnership with the U.S. Association of Small Business’s (USASBE’s) Minority and Women Entrepreneurship SIG, is pleased to announce a 2017 Call for Papers. Winners of each of the six categories will receive $1,000 and an opportunity to participate in one of three annual industry conferences (U.S. domestic travel reimbursed). To submit an entry, please email an electronic copy directly to USASBE. Use the conference submission site at https://www.softconf.com/i/usasbe2018/. An executive summary (no more than 300 words). The executive summary should include a synopsis of the central thesis, methodology, findings, how the author’s work contributes to the advancement of direct selling and entrepreneurship and how the findings can be implemented. Winning papers must be presented at the USASBE conference in Los Angeles during January 2018. Submissions Accepted: May 15 to October 15, 2017. Proceedings Due: December 15, 2017. Direct Selling Entrepreneurship among Underserved Populations: Direct selling offers people of all backgrounds an opportunity to launch independent businesses in any product or service sector, with the intention of empowering millions of would-be entrepreneurs who left out of the mainstream economy through factors such as inability to access higher education, prohibitive job training costs, and challenges in adhering to fixed employment schedules due to family or other commitments. Topics may include, but are not limited to the following communities/demographic groups: military spouses/personnel, veterans, minorities (African-American, Hispanic), rural residents, and women. Direct Sellers as Intrapreneurs and Entrepreneurs: Corporations are investing in innovation and record levels and have begun to focus on building core competencies around innovation and intrapreneurship. Direct selling companies are uniquely positioned to receive immediate feedback from their independent salesforces – that serve as both intrapreneurs and entrepreneurs – to generate faster problem-solving, innovation and competitive advantage. Ethics in Entrepreneurship: The direct selling industry has a long history of protecting direct selling entrepreneurs and their customers through self-regulation. This differs from gig economy companies (Uber). All Direct Selling Association (DSA) member companies are required to adhere to a Code of Ethics as a condition of membership. Companies go beyond the Codes to provide ethics training for their salesforce. Entrepreneurship Comparison – Direct Selling, Etsy, Start-ups: Direct selling companies create the products and brands, conduct R&D, implement compensation plans, manage IT systems, track inventory, provide customer service through call centers, maintain quality controls, ship, and provide a royalty-free platform for marketing sellers’ independent businesses. All of these empower would-be entrepreneurs to build a business and learn valuable business skills for the cost of a start-up kit (average cost: $100). Direct Selling Company Case Studies: The stories of and decisions facing direct selling companies can provide excellent material for case studies. The founders have identified opportunities in compelling ways, made strategic decisions, and faced numerous challenges. Social Entrepreneurship: Many direct selling companies make social entrepreneurship a foundational component of their business model. Independent contractors are drawn not just to the entrepreneurial opportunity and products, but to companies’ philanthropic efforts, which are often tied to product sales. The purpose of the Direct Selling Education Foundation is to engage, equip and empower educators to provide students with an accurate understanding of the direct selling industry as a powerful go-to-market strategy, distribution model and entrepreneurial option, and to teach the correct principles of direct selling, with an emphasis on ethical business practices. DSEF partners with members of the academic community to support research and education programs that expand knowledge and understanding of the fundamental principles of direct selling. The Foundation works with professors in a variety of disciplines—including entrepreneurship, marketing, ethics, business and economics—to deliver multi-faceted programming aimed directly at the contemporary issues facing direct selling companies and consumers in a global marketplace. DSEF also sponsors campus programs to help students and faculty better understand direct selling as an industry, a channel of distribution and a pathway to entrepreneurship, and to introduce them to career opportunities at direct selling company corporate headquarters. We also sponsor and support various events, projects and initiatives, like campus events, to further support our overall mission: DSEF engages and educates the public about how direct selling empowers individuals, supports communities and strengthens economies worldwide. Direct selling is a retail channel used by top global brands and smaller, entrepreneurial companies to market products and services to consumers. Companies market all types of goods and services, including jewelry, cookware, nutritionals, cosmetics, housewares, energy and insurance, and much more. The direct selling channel differs from broader retail in an important way. It isn’t only about getting great products and services into consumers’ hands. It’s also an avenue where entrepreneurial-minded Americans can work independently to build a business with low start-up and overhead costs. Direct selling consultants work on their own, but affiliate with a company that uses the channel, retaining the freedom to run a business on their own terms. Consultants forge strong personal relationships with prospective customers, primarily through face-to-face discussions and demonstrations. In this age of social networking, direct selling is a go-to market strategy that, for many companies and product lines, may be more effective than traditional advertising or securing premium shelf space. DSEF’s academic partnerships serve to inform and educate students – highlighting direct selling as a go-to-market strategy and pathway to entrepreneurship and micro-entrepreneurship. DSEF has partnered with more than 75 professors over the past year, and is making significant process toward mainstreaming the channel on college campuses across the country. DSEF recently released its newest video teaching tool, The Direct Selling Business Model: Cutting Out the Middle Man. The new video was filmed live at the University of Texas at Arlington during DSEF’s Business Ethics Forum Campus Event. Al Bala, President and CEO of Mannatech, explains the direct selling business model in a way that business students and entrepreneurs can understand. “Eighty percent of the cost of a product in normal retail channel is in distribution. A large percentage of that is spent on advertising. Direct selling cuts out the middle man by redistributing the costs of advertising and distribution to pay independent contractors.” says Al. DSEF’s growing bank of video content also includes the Ask the Experts series, which may be viewed on our Vimeo channel. At the 2017 Global Sales Science Institute (GSSI) Conference held in Mauritius in June, Julian Allendorf (Ph.D. Candidate, Institute of Marketing, University of Muenster, Germany) received the GSSI 2017 Best Doctoral Student Paper Award for his paper on “Direct Selling Distributors – Why Do They Stay or Leave!”, developed through a grant and data provided by DSEF. The prize-winning paper is based on Allendorf’s joint work with DSEF Fellows Dr. Anne T. Coughlan, PhD (Northwestern University) and Dr. Manfred Krafft (University of Muenster, Germany), and demonstrates how DSEF ‘s academic partners are producing data-driven research that validates the channel. The award was presented to Manfred Krafft by the President of the island nation of Mauritius, Ameenah Firdaus Gurib-Fakim, during a conference reception on June 8. “Being awarded the GSSI Best Doctoral Student Paper Award for the work we have done so far feels like a great honor to us and provides the motivation for future endeavors,” said Allendorf. In their joint research, the authors highlight similarities and differences between traditional sales and direct selling, and build on Agency Theory to develop predictions about the ways in which individuals stay in the direct selling distributorship, and what explains their intention to leave. The authors analyzed a unique dataset of over 13,000 individual direct-selling distributors from 68 firms and asked the the “nature vs. nurture” question: does a “stayer” retain the same motivations as a “joiner,” or do distributors develop and change their motivations over time? Nurture doesn’t refer only to environment. Joiner-Stayers do indeed receive support and training from their companies and uplines, but they also learn about themselves (personal development). The Stay-Leave decision is represented by the question, “How likely are you to continue representing the company for the next year?” Dr. Coughlan and Dr. Krafft used regression analysis to determine which factors are most likely to have a positive or negative impact on the decision to stay versus the decision to leave. The drivers of income identified in the study, also called predictor variables, are consistent with those used in academic research and the long history of research on selling. The incremental effect, in dollars, of a change in a predicted variable – either positive or negative – is explained in the study. All effects assume that other drivers are held constant and should be interpreted for changes on the margin. The results are consistent with the authors’ modified Agency Theory model and suggest academic, managerial and policy implications regarding direct selling investments and assessments. The 2016 formation of the DSEF Fellows program is an important step in deepening the Foundation’s connection to academic leaders who advance knowledge of the direct selling channel in their field of study. To support and sustain these important partnerships, DSEF created Fellows Learning Journeys – a pathway for exploration and discovery through immersive experiences with executive leadership and staff – for Fellows participating in DSA’s Annual Meeting. The Fellows Learning Journey began with the Direct Selling Boot Camp, which provided academics with a comprehensive understanding of the business challenges that new direct selling companies face, and continued with a DSEF Fellows Workshop, in which Fellows shared their direct selling white papers and teaching successes with incoming Fellows. Fellows also participated in networking and education tracks throughout the conference. “Throughout the Boot Camp and Annual Meeting, I saw countless examples of leaders doing the right thing, both for their companies and for their representatives,” says Dr. Bonnie Canziani, Associate Professor, Marketing, Entrepreneurship, Hospitality & Tourism Department; Coleman Fellow in Entrepreneurship at University of North Carolina at Greensboro (UNCG). DSEF invests in dynamic partnerships with leading academics, who bring short-term impact through research and data-driven third-party validation for the channel. Seven Fellows highlighted recent and upcoming research during three business intelligence panels for executive attendees. To recognize the significant contributions and achievements of its valued academic partners, the Direct Selling Education Foundation created the Educator of the Year award, and presented the inaugural award to Dr. Brenda Cude, University of Georgia (UGA), during the Awards Gala, at the Annual Meeting held in Orlando in June. Recipients of DSEF’s Educator of the Year Award demonstrate outstanding service to the Foundation through leadership, personal involvement, teaching and research. Social entrepreneurship and corporate social responsibility are twin drivers of positive social change. Direct selling companies and the independent salespeople that represent them are a quintessential example of the power of networks as a force for social good. The Direct Selling Education Foundation (DSEF) shared that message with 300 students at the University of San Francisco during the “Putting People First: Changing the Way We Do Business” campus event on March 2. DSEF’s “Changing the Way We Do Business” event, which also featured business innovation in the classroom, was conceived by DSEF Board Member, Dr. Elizabeth Davis, Dean of the USF School of Management and Dr. Peggy Takahashi, Associate Dean of Undergraduate Programs. The DSEF event kicked off USF’s Social Entrepreneurship and Innovation Conference and Tech4Good Startup Weekend, which brought together business leaders, investors and social entrepreneurs to discuss how socially-conscious action, innovation and education can change the world. Sales networks can serve as a powerful catalyst for social change. Trades of Hope’s hand-made jewelry is fairly-traded with women artisans in developing countries, which are then sold through “Compassionate Entrepreneurs” – or direct sellers – in the United States. “When you empower one person out of poverty, they bring three people with them,” says Chelsie. “42,000 people in developing nations are being positively impacted by the work these artisans are doing in their communities,” supported by the sale of these products by direct sellers, who can build businesses of their own. Social entrepreneurship is also a market disruptor, given the right circumstances. Ruby Ribbon, a shapewear company that sells products through home parties known as “Trunk Shows,” is using social entrepreneurship and innovative garment technology to disrupt the shapewear market and radically change consumer experience. Market disruption occurs when a smaller company with fewer resources is able to successfully challenge an established industry. “Our investors told us there was no way women would try on shapewear in other people’s homes,” says Ruby Ribbon Founder and CEO Anna Zornosa, “but our customers benefit from being professionally fitted by our Stylists,” in a private, rather than public, space. The business environment is changing dramatically. From online transactions and social media to the rise of independent work in the marketplace, the need for ethical business decision-making has never been greater. DSEF’s most recent Campus Event at the University of Texas at Arlington showcased the ethical business practices of seven direct selling companies through presentations and interactions with 700 students throughout the day. Our nation’s universities are increasingly looking to the business community to share expertise and model practices with faculty and students. The Business Ethics Forum on October 18, executives from AdvoCare International, Mannatech, Inc., Mary Kay, Inc., Nerium International, pawTree, Stream and Zurvita led discussions that helped students understand the changing business climate, the need for ethical decision-making and effective community involvement strategies. Developing a company culture that instills honesty and integrity in your independent salesforce is the first step, says Michael Lunceford, Senior Vice President of Public Affairs at Mary Kay and a member of DSEF’s Circle of Honor, “Never sacrifice growth and profit for integrity.” he says. In addition, companies—and their independent salespeople—benefit from a code of ethics that every member of the organization must follow and put into action. “Whether you are a consumer, distributor or both, look for a member company of the Direct Selling Association (DSA),” says Rick. “They have a Code of Ethics and we, as member companies, must abide by it.” As a condition of membership in DSA, every applicant must agree to a comprehensive ethics compliance evaluation that takes at least one year. “We make changes to our products and marketing materials, based on this oversight,” Rick says. When business challenges arise, direct selling companies work with their salespeople to resolve the issue. Direct selling companies closely monitor product claims on social media and are continuously work to improve their processes and communications. 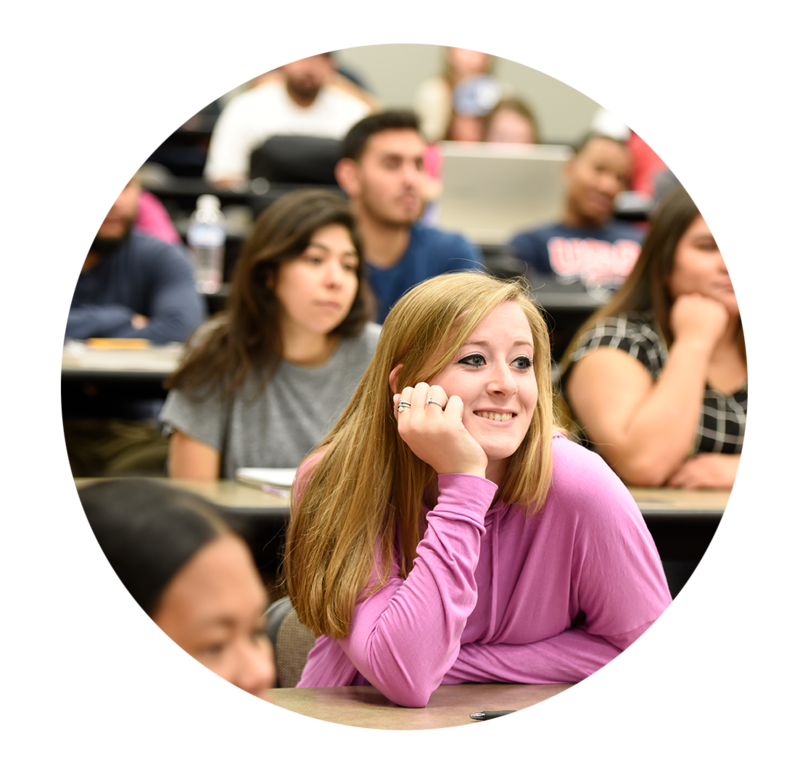 “At Zurvita,” says Director of Compliance, Erin McGuiness, “our policy for open communication and dialogue often results in our field coming up with the best marketing solutions.” Professor Omar Itani teaches the Social Media class in UTA business school. “We discuss social media strategies in my class, but having a real example of how one company controls its social media presence is a rare opportunity,” he says. The event also provided a forum for direct selling executives to demystify the industry and explain the business model to students. “We were able to clarify that direct selling is a channel to market your products, not a stand-alone industry,” Bouncer says. Another unique aspect of smaller direct selling companies is its immediacy. “Being connected to your customers – to 130,000 salespeople –enables us to problem-solve and course-correct in real time and results in innovations that wouldn’t otherwise be possible,” says Deborah Heisz, President and COO of Nerium. DSEF campus events advance knowledge of direct selling and demythify the business model to the benefit of companies, executives, professors and students. 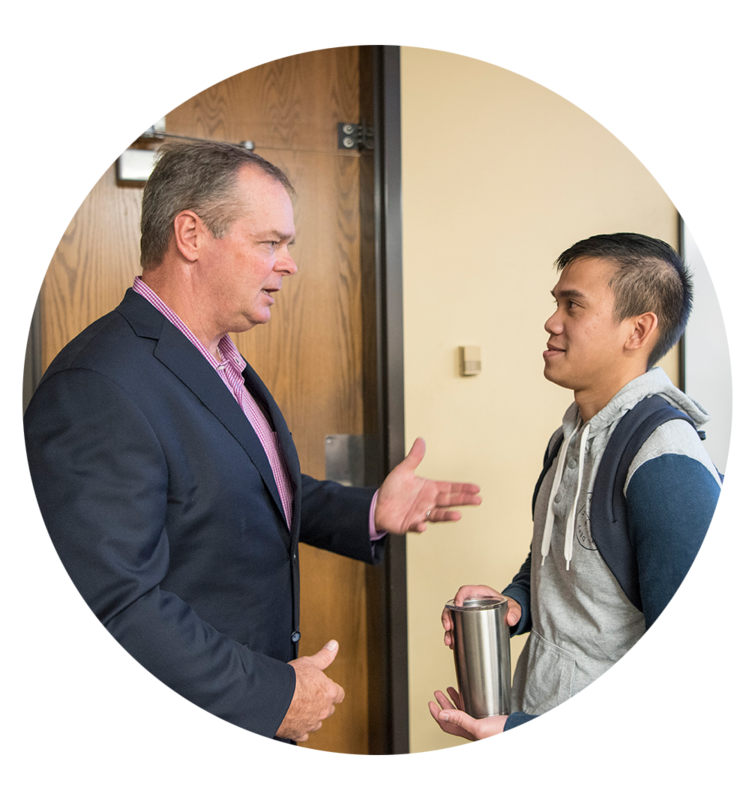 “The best way to grow a positive image of direct selling is to have executives visit with students and professors and show them, first hand, what direct selling truly is all about,” says Dr. Chonko. The event exposed students to direct selling as a micro-entrepreneurship opportunity in what can be a competitive job market. “Many of my students are facing tough times finding jobs after graduation, so I also wanted them to understand that direct selling is a viable opportunity to work and earn income,” says Professor Itani.